Sam Tarakajian (who doubles as my very first podcast interview...) was a recent participant at NodeJS Interactive, giving a quick overview keynote about the Max 8 "Node for Max" project. It's a flyby on the material, but it might give you a sense of the thinking behind it - and why it might matter for projects that you are involved in. I know that, for myself, most of the large-scale work I've done in the last few years has involved Node in one way or another. I often had to cobble up interfaces to get things talking; now, the whole game has been formalized, and it is so much easier to bring these projects home. Thanks to Sam for bringing Max into the bright lights of the JS world! 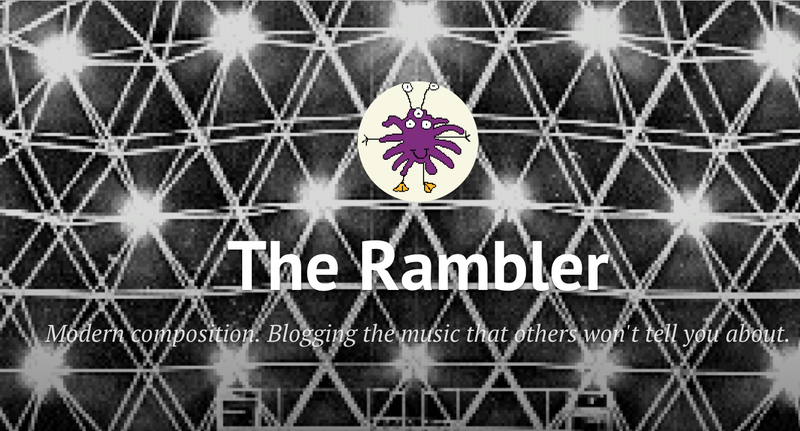 How is it that nobody told me about The Rambler - a blog about "the music that others won't tell you about"? You know I depend on you people to help me out! What a great resource. 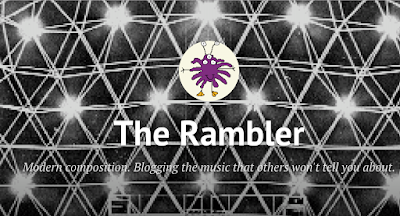 This morning, I learned about the passing of Chris Mann (and why it is important to care...), got to think about variations on Minimalism, became entranced by David Burge's writing and remotely fell in love with Cafe Oto. This all happens on a Saturday morning. How cool is that? ... and worth every penny! You know, on the surface this looks like the simplest possible implementation of a joystick. But somehow I'm having a hell of a time wrapping my head around it. As with the Intellijel Planar before it, it seems fine if you just want to hook up the outputs to a filter cutoff and jiggle it around for a nice wobble. But if I want to know exactly what is going to happen, it seems like mysteries abound. I'm positive it's not hard to figure out - I'm a reasonably intelligent dude. But why I can't get a simple scale/offset/stick combo to give me the values I'd expect when I set things up - I may never know. What it really means is that I'm going to have to go into the woodshed with the Choices, the ES-8 and the computer, and start mapping the hell out of the thing until The Way It Works somehow matches The Way I Think It Works.